Is fat good or bad for your health? Well…the truth is, it depends. Fats, like carbhoydrates and proteins have various structures and functions in the body. Scientific research suggests certain fats support health while others don’t. In this article I will go over the various types of fats and how they are either beneficial or damaging to our bodies. Let’s first review what fats do in the body to understand their importance. Every cell in our body is covered with a layer of fat called the phospholipid bilayer. This fatty layer serves as a barrier between the cell and its outside environment. When we have a healthy phospholipid bilayer, communication between the cell and outside communicators like hormones is quick and efficient. When this fatty layer is flexible and fluid, important messages and nutrients can come in and out of the cell without a problem. When this barrier becomes too thin foreign invaders that are unwanted can enter the cell, and when this barrier becomes thick and stiff, messengers and nutrients cannot enter the cell. Luckily our body does a pretty good job at regulating this phenomenon by itself. Apart from saturated and unsaturated fats, our cell membranes also include cholesterol which is also a type fatty acid. We actually produce cholesterol so there is no need to consume it through diet. As we have know for over 80 years now, a diet high in cholesterol raises our risk for cardiovascular disease. What are foods that contain cholesterol? Animal foods, because they produce it in their bodies. What foods don’t contain any cholesterol? Plants. Fats also help us absorb fat soluble vitamins like A,E, K and D. Knowing that these vitamins can be stored in the body’s fat cells and not simply flushed out when consumed in excess, be especially careful when supplementing. 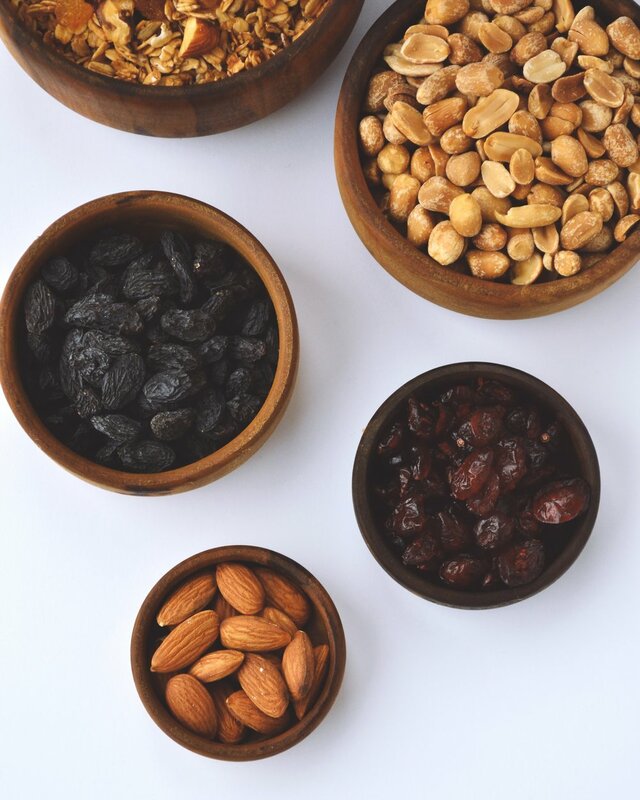 So next time you eat a food rich in vitamin E like nuts, be sure to eat some fat with them to help with absorption. Oh wait…nuts are already perfectly packaged with healthy fats. Also fats help with our immune function. Certain fats, especially polyunsaturated fats, help with inflammation and antioxidant absorption which in turn keeps our immune system healthy. Although omega-6 fatty acids can be beneficial and in fact required in the body, an excess of these fats can cause inflammation. Omega-3 fats on the other hand are needed in higher amounts and should be incorporated into your diet on a daily basis. My favorite omega-3 source is flax seed. I include them in my smoothies and oatmeal in the mornings. Keeping a ratio of about 4:1 of omega-6 fats to omega-3 fats is ideal. Trans fats are fats that have been basically created in a lab to produce a similar effect to saturated fats to improve shelf life. Crisco is a classic example. As a vegetable oil Crisco starts out as a polyunsaturated fat with multiple double bonds, which keep the fat fluid. The process of hydrogenation in which hydrogen is added to the oil, it then is able to harden and last longer on your shelf. Saturated fats are found in animal products and in small amounts in plants apart from the exception of palm and coconut oil in which saturated fat is high. Saturated fat, like cholesterol has been linked to health complications and should be limited. Mono and polyunsaturated fats are the healthiest fats and should be consumed everyday. Sources and description of fats. In conclusion...your body already has cholesterol so there is no need to consume more of it, saturated fat hardens our cell walls and arteries so it’s best to limit it, mono and polyunsaturated fats are the body’s preferred fat source, and omega-3 fatty acids are anti-inflammatory while an excess of omega-6 fatty acids are inflammatory. Below is a list of foods that have a good ratio of omega-3 to omega-6. It’s pretty silly to me that fish supplements are one of the most sold supplements on the market. Fish oils are really expensive and have pollutants. I would rather eat flax seeds which are cheap, healthier, and overall a better source of omega-3 fats.